Ian Winterburn, a teacher at Garforth Academy, has died. Tributes have been paid by the family of a cyclist who died 10 days after being involved in a crash in Leeds. Ian Winterburn, 58, died on December 22 from injuries he received during the crash on the A6120 Ring Road in Halton. A teacher at Garforth Academy, he was described as "the kindest and loveliest dad, husband and grandad anyone could have." Police today named Mr Winterburn as they continued to appeal for witnesses to the crash, which happened at the junction with Whitkirk Lane, near to Colton roundabout, at 7.30am on December 12. 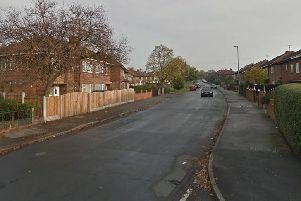 Mr Winterburn, who lived in Leeds, was involved in the collision with a silver/grey coloured Skoda Fabia which had been turning right into Whitkirk Lane from the ring road. In a statement, his family said: "Ian was the kindest and loveliest dad, husband and grandad anyone could have and an honest and genuinely caring friend to all who knew him. "Our feeling of loss and sadness is indescribable." A police spokesman said the driver of the Skoda, a 51-year-old woman from Leeds, had been interviewed under caution in connection with the incident. Officers want to speak to any witnesses, in particular anyone who saw the collision itself or who the movements of the car or bicycle immediately beforehand. Anyone with information is asked to contact the Major Collision Enquiry Team via 101 quoting log number 249 of December 12.